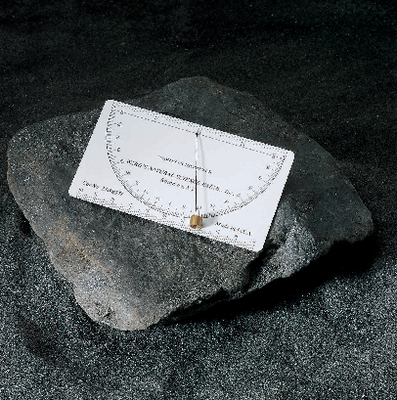 The protractor quickly measures angles of dipping rock units or fracture planes — just take a reading where the weighted thread intersects the protractor. It features black printing on a white plastic face in 1° increments up to 90° on each side of zero. It comes with a case. Size: 4 3/8"L x 2 1/2"W.